This year, the fifth IT Arena, which is the biggest IT event in Ukraine and Eastern Europe, gathered more than 3000 participants! This event brings together IT industry representatives, to share experiences and discuss the latest IT trends. GlobalLogic was an Exclusive Partner of the event. GlobalLogic presented its services and solutions at our booth and energized all participants with its orange energy. 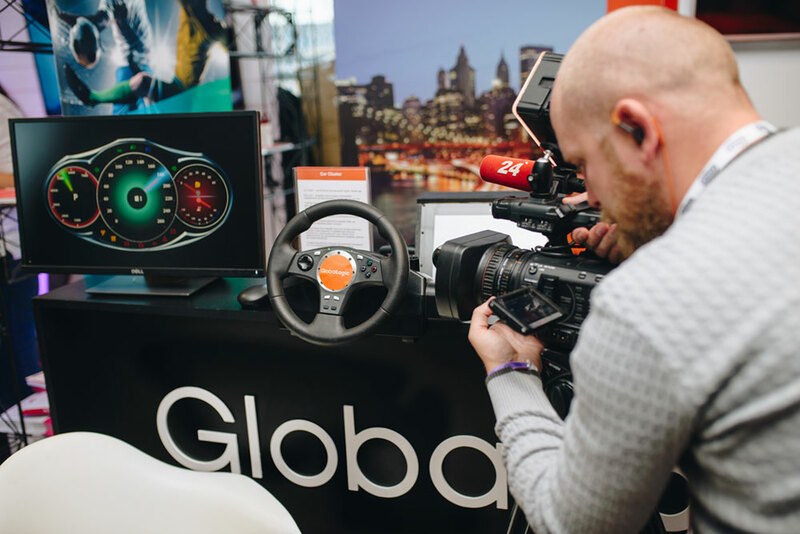 At the GlobalLogic booth, everyone could discover the possibilities of Car Cluster: a model of an infotainment system for the modern car. It was presented by Andriy Beregovenko (Senior Software Engineer, GlobalLogic, Poland). This is an automotive platform intended for developing applications and data that sends microservices, as well as simulation of real car behavior. The system also includes a clustered human-machine interface (HMI) that displays information about the cars state. 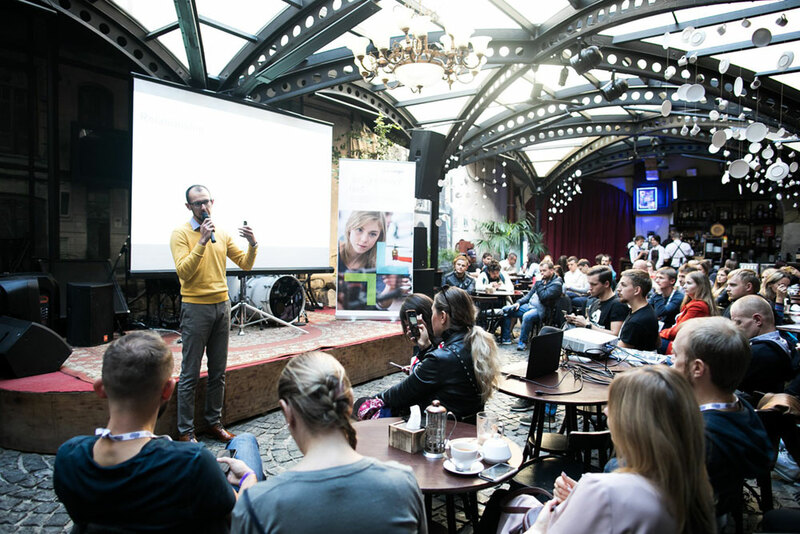 Also, participants could personally test an interactive whiteboard by Smart Technologies together with Yurii Holovanov (Manager, Engineering, GlobalLogic, Lviv). This board enables you to write with a stylus, store written text on any mobile device connected, display saved notes, show vibrant interactive demo materials and upload information online using a browser. These and other options are very useful for education and make the learning process really interactive. This solution was developed for Smart Technologies by engineers from GlobalLogic Lviv office. 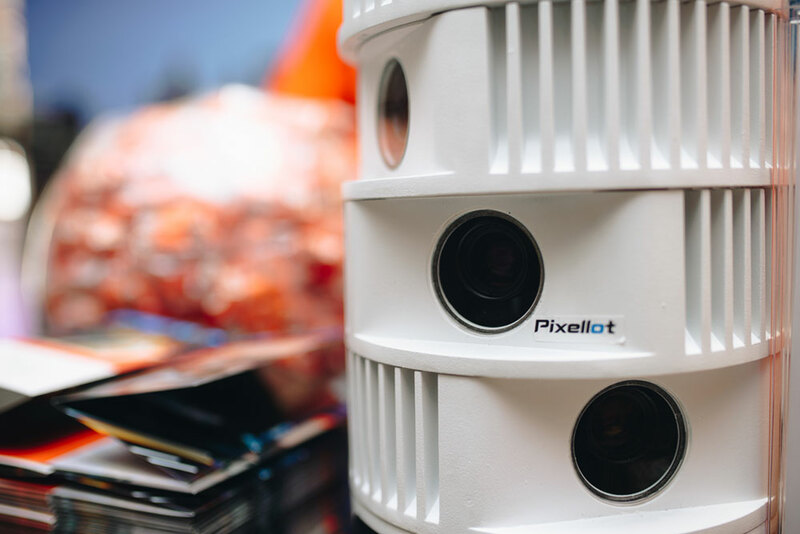 Ihor Rohatskyi (Manager, Engineering, GlobalLogic, Lviv) presented a Pixellot camera. The camera has a resolution of up to 8K and enables you to capture 180-degree panoramic photos and videos. This solution is mostly used for shooting of amateur sports, football games, etc. The device enables viewers to observe a full picture of the game and each player individually. Engineers from the Lviv office of the company created a mobile application for the camera, so you can watch a streamed video in a 180-degree format. There were many representatives of international, national and regional mass media at the event. They showed great interest in Ukrainian developments, and our own Denys Balatsko (VP and Head of GlobalLogic Lviv) spoke to Radio Skovoroda about the growth of the IT industry in Ukraine. The third day of the event was devoted to workshops with 35 experts, including Viktor Matusov (Director, Engineering, PMO Head, GlobalLogic). Victor shared his own experience and gave step-by-step guide with one-on-one meetings and groups, which you can read more about here. Thanks to our partners Planeta Kino IMAX in Lviv and Chargelab, everyone could enjoy delicious popcorn and recharge their smartphones at portable stations. 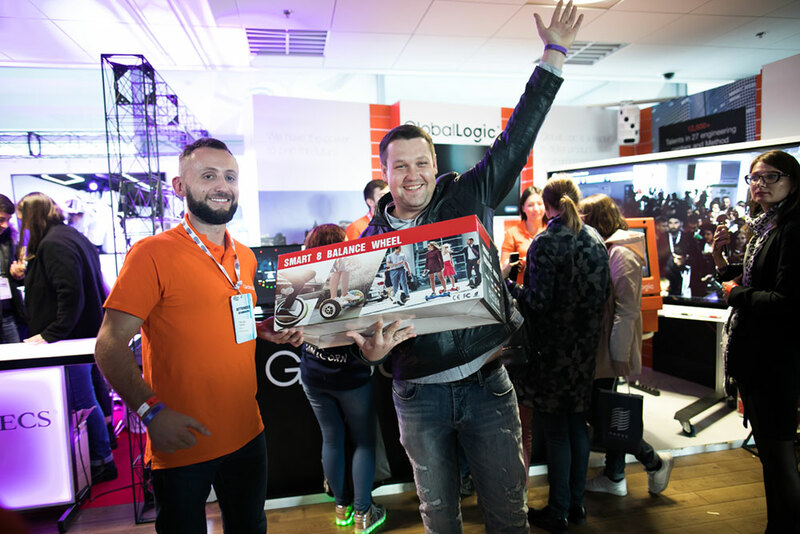 With the help of a super device called GL GiftBox made in GlobalLogic Lviv office, all the participants won cool prizes by completing an online quiz.